The Fort Worth Transportation Authority (The T) will be conducting six public meetings in April to solicit feedback from the public about how transit could best serve Tarrant County in the near-term and future. 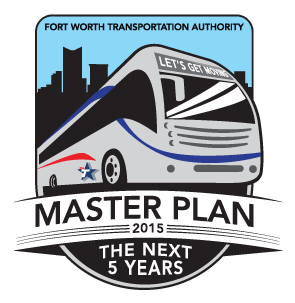 The meetings will serve to inform The T's Transit Master Plan that currently is underway. The plan will include a review of current service, identify opportunities to expand transit service to meet the growing needs of the region, and determine what resources could be allocated to pursue those opportunities. The meetings will be open house-style events, with several interactive activities featuring maps where attendees can show how they would improve service, as well as tradeoff exercises where participants can vote for their priority transit issues. Staff will give a brief presentation during each open house to share the progress of The T Master Plan. Attendees will be able to talk one-on-one with T staff, or participate in a question and answer session after the presentation. The displays and presentation at each forum will be the same. Attendance is open to the public, and each facility is wheelchair accessible. Anyone needing hearing, sight or language interpretive services should contact The T's Human Resources Department at 817.215.8621, 48 hours in advance of the meetings. Feedback can also be provided through an online MindMixer Town Hall and the newly launched Build Your Own Transit System tool. More information on how to participate and provide feedback in this year-long planning initiative is available on the project website. This Weekend: ONA Easter Egg Hunt! Coming Soon: ONA Easter Egg Hunt! March Oak Leaflet Now Online!